Do you have trouble urinating in public? You're not alone. As many as one to two million Americans can't urinate at all if there is someone else in the restroom. These people, mostly men, suffer from a social anxiety disorder called avoidant paruresis, also known as bashful bladder syndrome (BBS), shy bladder or bladder shyness. An estimated 20 million people suffer from BBS in the United States alone. The disorder can range from mild to severe. What Is Bashful Bladder Syndrome? Anxiety often causes muscle tension and makes it difficult to relax muscles. In order to urinate, you need to relax a set of sphincter muscles. When you were toilet-trained, you learned to keep these muscle in a tense state unless you wanted to urinate. The self-conscious feelings elicited in some people when others are present seem to interfere with the ability to relax the sphincters. ​BBS tends to be a lifelong ailment that can cause significant distress in your everyday life. 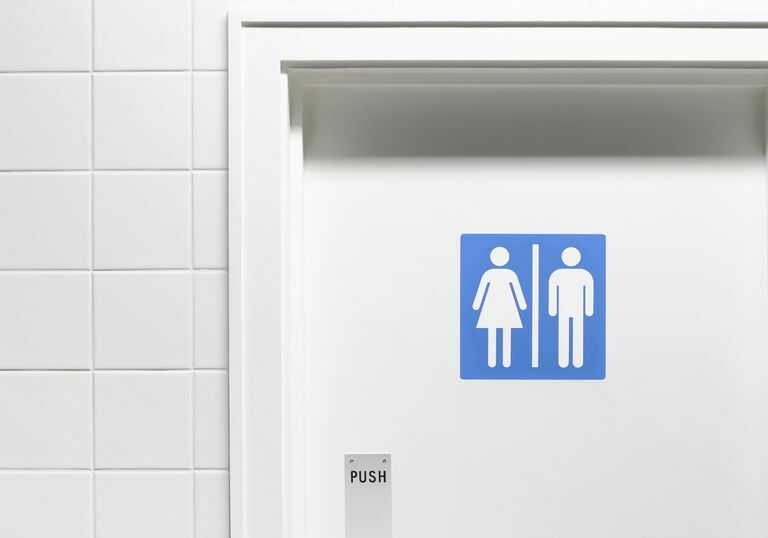 For the majority of people who experience bashful bladder syndrome, the problem is a mild inconvenience. You may have some difficulty urinating when there is someone else at the next urinal or in the next stall. For men, heading to a stall rather than a urinal is usually all that is needed. However, if you have a more severe form of BBS, you probably find that it is extremely disruptive to your life. You may have to be at home alone in order to successfully use the bathroom. Certain odors, sounds or other distractions may also cause you problems. Some ​paruretics carry catheter kits so that they can catheterize themselves when needed. Others seek ​psychotherapy or hypnosis to help them solve the problem. The familiarity with the people in the bathroom. The less you know them, the more uncomfortable you likely feel. How close the other people in the bathroom are. Can they hear you? See you? Part of BBS is feeling like you are in a performance where everyone is watching and/or listening and judging you, so having other people nearby or no doors can make you feel like you have no privacy and make the situation even worse. Feeling anxious, scared or upset about something else, including feeling pressured to finish quickly. Paruresis is very treatable. If you have significant problems using public restrooms, consult your doctor. Your physician will likely do a physical examination first to rule out any physical problems that could be causing your difficulty. Many studies have shown that cognitive-behavioral therapy (CBT) helps at least four out of five BBS sufferers improve. Systematic desensitization is one behavioral treatment that is often used to help sufferers cope with their bashful bladder syndrome. It involves using a "pee buddy" who is present when you need to urinate. This person may start out in the next room with the door open. As it becomes easier to start a flow of urine, the buddy gradually positions themselves closer and closer. Relaxation techniques are often used in conjunction with this approach. Steven Soifer, MSW, Ph.D., George Zgourides, Psy.D., and Joe Himle, MSW, Ph.D. "About Avoidant Paruresis." International Paruresis Association (2016). "Paruresis Fact Sheet." International Paruresis Association (2016).